You are looking for a job. All employers want to hire people who are respectful, professional, and can have business-like acumen (in person and via profile photos, etc). This means no party SELFIES with your homeboys or girls. No gang signs. No drug or alcohol paraphernalia. Absolutely no extreme photos depicting anything other than you being professional. Going against ANY of this will be subject to dismissal upon a administrative review and deactivation of your account. 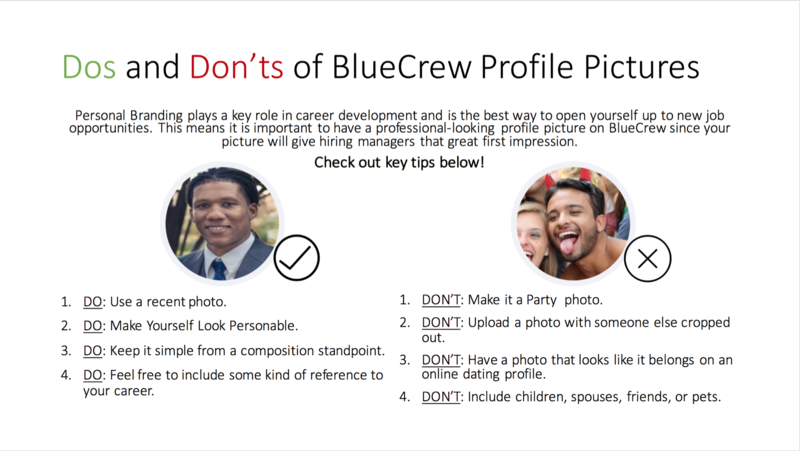 Thank you in advance for following the rules and policies of BlueCrew.